TheWrap is reporting that Project Almanac director Dean Israelite is currently in talks to direct Lionsgate and Saban Films’ Power Rangers. Israelite has apparently been courted to direct a number of Hollywood tentpoles over the past few months on the basis of Project Almanac, although it only grossed $22 million domestically earlier this year after being delayed from last year. Israelite is said to be a huge fan of the Power Rangers franchise. 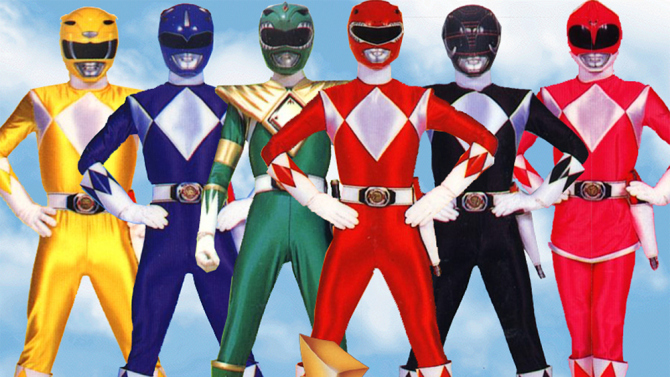 The original “Mighty Morphin Power Rangers” was a hugely popular television show when it debuted in 1993, culled from reworked footage from Japan’s “Super Sentai” as it introduced North America to the concept of high school students with martial arts-based superpowers. The show has remained in production in various incarnations for the past two decades with two theatrical releases: Mighty Morphin’ Power Rangers: The Movie in 1995 and its less successful sequel Turbo: A Power Rangers Movie. With a script in place by Ashley Miller and Zack Stentz (Thor, X-Men: First Class), the movie is already scheduled for July 22, 2016 with original creator Haim Saban acting as a producer, along with Brian Casentini, Allison Shearmur and Roberto Orci. One presumes that Lionsgate is hoping to turn the Power Rangers into a theatrical franchise similar to what Paramount is doing with the similarly-popular Teenage Mutant Ninja Turtles. Israelite is also attached to the long-in-development remake of the popular ’80s film War Games.